It's been 40 years since a trio of young cousins left Fort Payne, Alabama, to spend the summer playing in a Myrtle Beach, South Carolina bar called The Bowery. 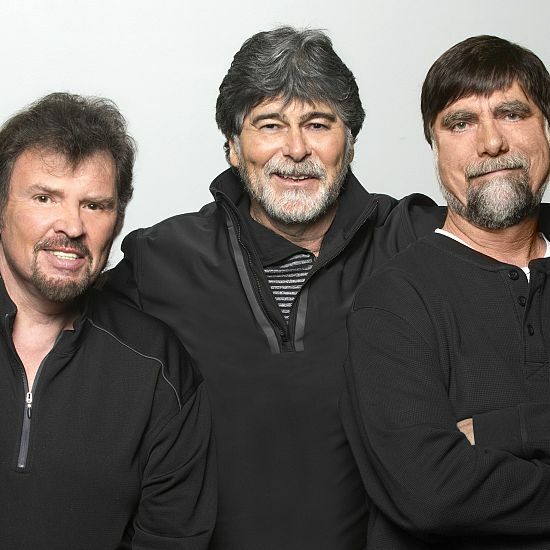 It took Randy Owen, Teddy Gentry and Jeff Cook six long years of tip jars and word of mouth to earn the major label deal they'd been dreaming of, but then seemingly no time at all to change the face of country music. Of the early days and their humble beginnings, Jeff says, "I don't think we thought too far ahead. We were more concerned with paying our bills at the end of the week playing music." "I went to see them at The Bowery," legendary producer, Harold Shedd says, "and the sound that these three guys could create together was just really something. I saw the crowd reacting to music they'd never heard before as though they had. They were doing some covers, but a lot of the ALABAMA show at the time was original material, including stuff that wound up on the first three albums we did together." The fact that some of the heirs of that legacy--Eli Young Band, Rascal Flatts and Florida Georgia Line--were among the stars paying tribute on Alabama & Friends, their most recent release, is part of their legacy as surely as the awards and plaudits they've earned through the years. And those, of course, have been legion. They include more than 150 major industry nods, including two Grammys, the Minnie Pearl Humanitarian award, Entertainer of the Year awards three times from the CMA and five times from the ACM, as well as the latter's Artist of the Decade award. They earned 21 Gold ®, Platinum ® and Multi-Platinum ® albums and were named the RIAA's Country Group of the Century.